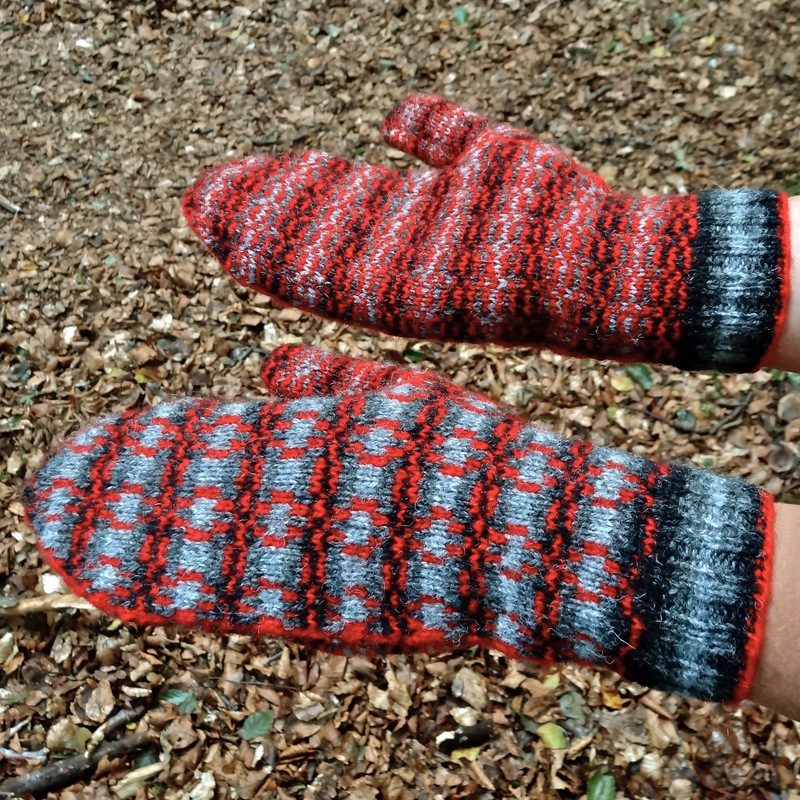 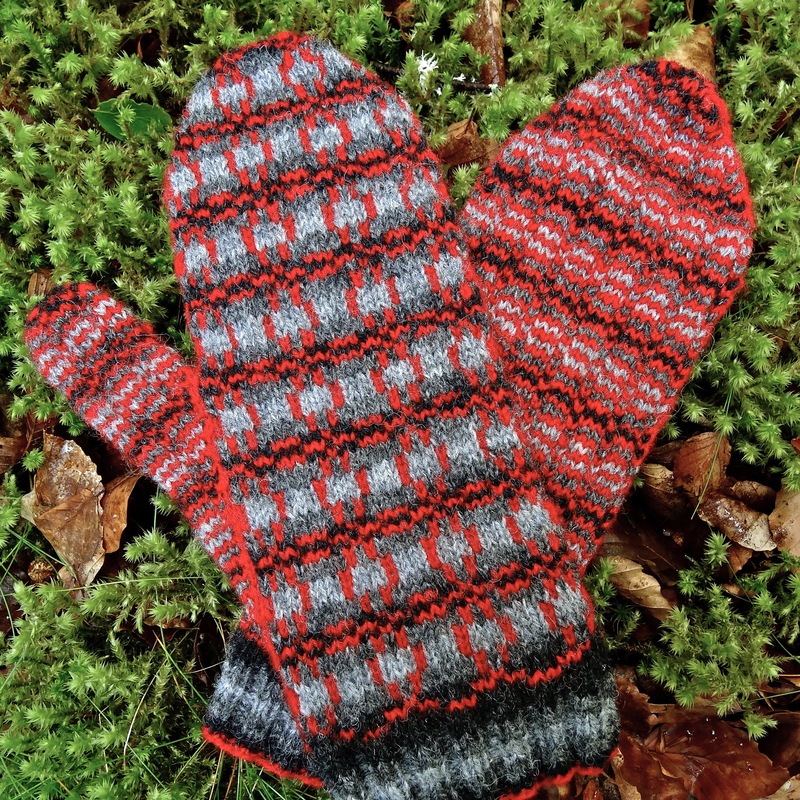 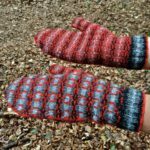 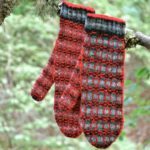 These mitts, inspired by the cup and ring markings in the landscape of the Scottish Highlands, are perfect for keeping out the chill on a long walk in the hills. 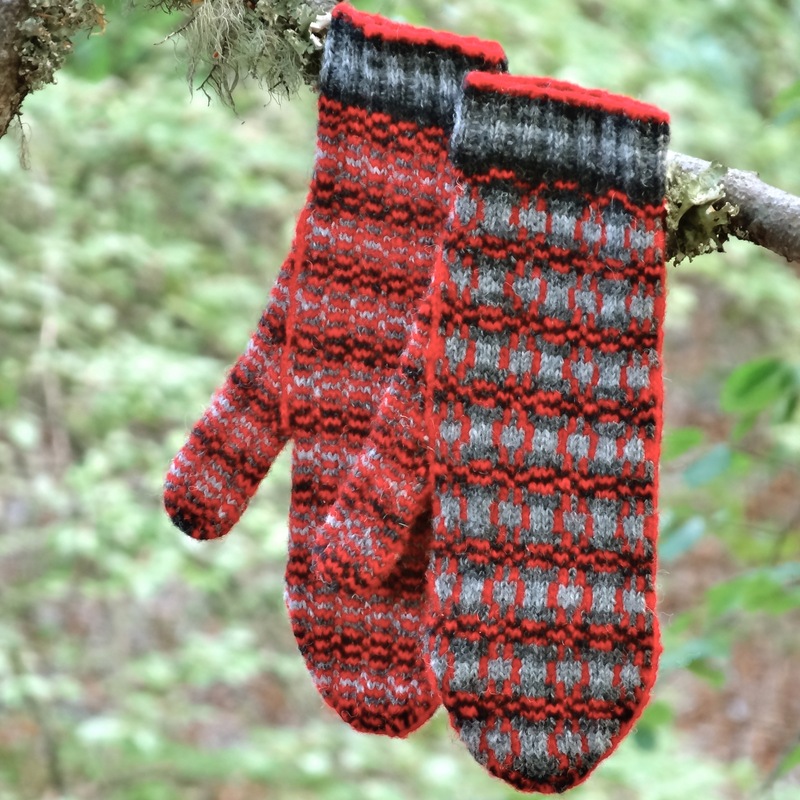 When choosing a yarn to substitute, select a sticky wool yarn. 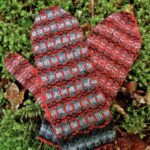 I would recommend a woolen spun yarn as this will allow show the fairisle pattern to the best advantage.